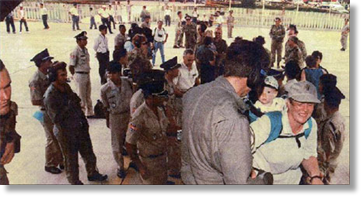 This was in July 1997 in what's called Operation Vista, a mission mounted at short notice to evacuate Australians, Canadians and New Zealanders and others out of Cambodia. It followed the outbreak of fierce fighting in the capital between forces loyal to Cambodia's First Prime Minister Prince Norodom Ranariddh and Second Prime Minister Hun Sen, who had shared power since 1993. Stowaways hopped aboard an RAAF aircraft evacuating Australians from strife-torn Phnom Penh and weren't detected until it landed in Malaysia. 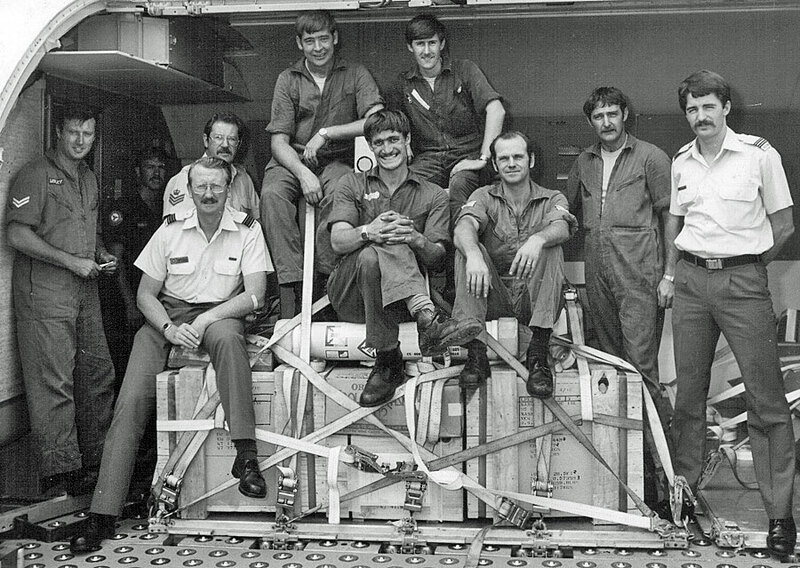 This involved deployment of four RAAF C-130 transport aircraft from Australia to the base at Butterworth, Malaysia, from where they flew six missions to Phnom Penh airport in a single day. Because of the uncertain situation, there was concern about unauthorised access to the aircraft by "ramp runners" while on the ground, of evacuees carrying weapons and of shooting by drunken soldiers. In the confusion at the airport, nine non-approved passengers, apparently local Khmers, joined the 80 official evacuees boarding the first aircraft. RAAF aircrew apparently realised there were too many but, in the absence of the official passenger manifest, could not sort out legitimate passengers until the aircraft reached Malaysia. 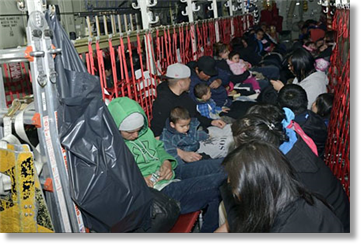 They were returned to Cambodia on the final flight of the day. The RAAF said the "inadvertent onloading" of the nine highlighted the possibility of hijack or other disturbance. To ensure there was no trouble on their return flight, they were discretely accompanied by a small group of special forces soldiers. Defence documents about Operation Vista, released under Freedom of Information, show that other than the stowaways, this was a complete success, evacuating 463 "approved nationals" to safety in Malaysia. 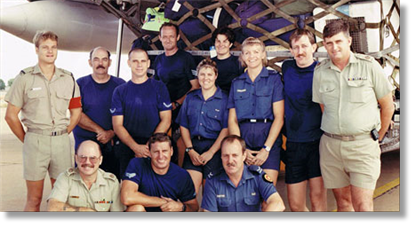 The guy in the RAAF Mystery shot on your Bods page is WOFF Vic Smith (far right), a bit of a legend in the Airmovements community, of which I was a member also. This reminds me of an Iranian Air Force C130 at Lyneham outside J5 hangar (MAMS) in the mid 70`s - pax up the front and pallet of freight on the ramp. Pax came off and nose went up - looked quite interesting! A DHL A300-600F [earlier this month] suffered a tail-tipping incident at Abu Dhabi airport, which is likely to highlight once again the issues surrounding safe cargo loading, especially as this report says an airport vehicle was crushed. It declines to name the handling agent - but it is more than likely to be Etihad-owned Abu Dhabi Cargo Company. One young 47 Squadron Flg Off co-pilot had been a bit of a naughty boy on the long trip round; consistently late; dozy and generally a nuisance for the Wg Cdr. In a last ditch effort to bring the young Flg Off into line (to heel), said Wg Cdr decided to to give him a 'check ride' from Lajes to Colerne. So, the young Flg Off was therefore in the left hand seat and the Wg Cdr in the right hand seat. At the time that Wg Cdr Saunders had his heart attack the young Flg Off was 'captain', and he grew up very fast! Actually, he remained very cool throughout. The aircraft went into a steep dive which he recovered well. Flt Lt Melville took over but in the right hand seat. After radio contact with medics in St Mawgan - clearly called to ATC tower for communication purposes - instructions were given to fly at a height between 1,000 - 2,000 ft. Therefore, we had to drop from 11,000 ft to 2,000 ft. Now, it does not sound so bad but I can assure you that that this was 'wave hopping' as far as the rest of us were concerned; we got much too good a look at the sea and the ships for the next 2 hours or so! After reading the last Old Bods Brief it really tested the old grey matter. I was also on the Hastings and remember that the techies were moved to the wing window seats to keep an eye on the rivets on the wing as some had started to pop while we were at full throttle in a long decent to St Mawgan to drop off OC 47 Sqn. At that time the max weight on the pan at Belize was 83,000 lbs, hence the use of the Hastings for the shuttle from Nassau. Britannias brought the army to and from Nassau and UK where they were accomodated in an old hangar whilst we stayed in the Royal Victoria Hotel (they were in the process of demolishing it when I was last there). Our stage through Bermuda was at the Castle Harbour Hotel where we had an arrangement with the barman in the Smugglers that we got a very reduced rate for our beers which the techies messed up by telling some Yanks that they would get the rounds as they got it cheaper. We were on base at Lajes where the cheapest Class 6 store was half way up the hill and a bottle of vodka cost 80p (old money) hence our replacement captain's hangover. I believe all this was in 1965. 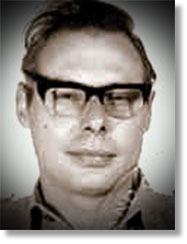 As for the story about the 'Escape from Iran' the other person with Terry Mulqueen may have been Liam Devlin whilst Arthur Rowland was at Gatwick with Bill Sheehan and Alan Martin. Bill is still living in Aberdeen and we are still in contact. I also remember John O'Regan as one of the Flt Sgts on MAMS in the 60's. Considering this was all nearly half a century ago the old grey matter is still performing pretty well! The world's largest international maritime exercise, RIMPAC provides a unique training opportunity that helps participants foster and sustain the cooperative relationships that are critical to ensuring the safety of sea lanes and security on the world's oceans. RIMPAC 2014 is the 24th exercise in the series that began in 1971. Two nations, Brunei and the People’s Republic of China, will participate in RIMPAC for the first time in 2014. Also for the first time at RIMPAC this year, two hospital ships, USNS Mercy and PLA (N) Peace Ark, will participate in the exercise. The theme of RIMPAC 2014 is "Capable, Adaptive, Partners." The participating nations and forces will exercise a wide range of capabilities and demonstrate the inherent flexibility of maritime forces. These capabilities range from disaster relief and maritime security operations to sea control and complex warfighting. The relevant, realistic training syllabus includes amphibious operations, gunnery, missile, anti-submarine and air defense exercises as well as counter-piracy, mine clearance operations, explosive ordnance disposal and diving and salvage operations. This year's exercise includes forces from Australia, Brunei, Canada, Chile, Colombia, France, India, Indonesia, Japan, Malaysia, Mexico, Netherlands, New Zealand, Norway, People’s Republic of China, Peru, the Republic of Korea, the Republic of the Philippines, Singapore, Thailand, Tonga, the United Kingdom and the United States. 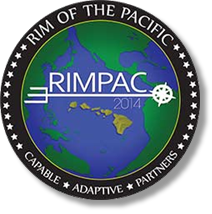 Details of RIMPAC activities and imagery are available at RIMPAC 2014. Media interested in covering the exercise should contact the C3F Public Affairs officer at 619-767-4387. Contact information for the RIMPAC Combined Information Bureau will be made available prior to the beginning of the exercise. First MAMS trip? Oh God, yes! Movement of RAF Regiment from Germany to Benbecula and backload. Me a snotty little Flying Officer, under the kind guidance of a young (looking) Flying Officer Team Leader. Gosh, Germany! Exciting… That part was fine. Night stop. Early start to load the two aircraft then off to sunny Scotland half the team on one aircraft, the rest on the second. 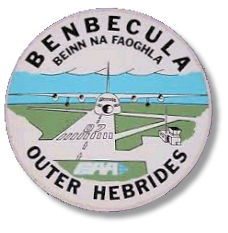 Benbecula, shrouded in fog… three and a half hours in the holding pattern… round and round and round and round... After 3 hrs and 25 minutes I could not hold it in any longer and I raced to the flight deck, grabbed a sick bag and threw up, fortunately missing the Nav by a whisker. Aircraft landed and I staggered off to the edge of the pan, feeling horrible, looking grey and continuing to throw up. Lots of chuckles from the team as they proceeded to offload one lot of Regiment freight and load with the other lot for turn round back to Germany. ·	Never drink cold coffee from the mess even if that is the only thing you can find before take off. 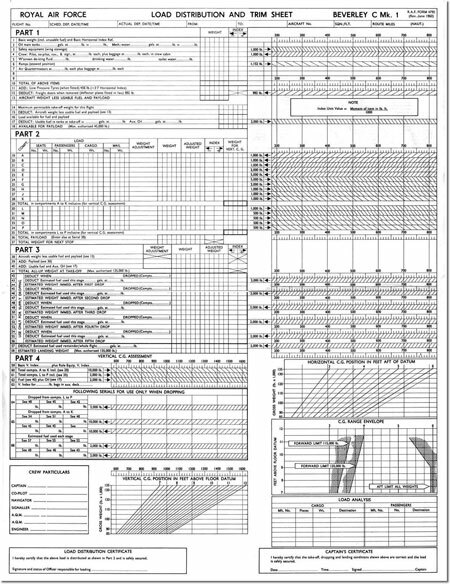 ·	Assume you will be in the aircraft forever and ever. ·	Check the tie-down scheme before during and after the load. ·	Ask the Loadie if he agrees with your interpretation and check of said tie down scheme before take off. Team leaders smell like that! Jim Stewart, the then Ops Officer, asked where I would like to go. 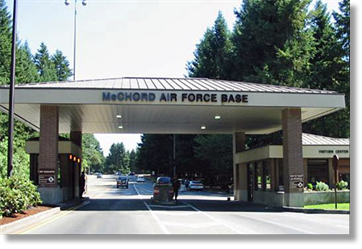 I answered 'USA' so went to McChord AFB with Gordon Black, Hughie Curran, Bob Dickmann, Gus Turney. Taught me one hell of a lot, "When we have an Army baggage party, take this clipboard and let them to the work... oh and don't forget to sort out transport to the hotel". When I had my own team, I felt much more comfortable down route, which for the next year was almost all USA hence I held the Mr America title! 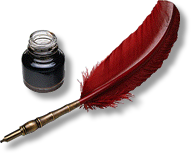 Great to get your latest Old Bods E-mail and may I congratulate you on your web site and all the memories you bring back with your hard work keeping it going. No Duty Free or allowances on that mission Tony! 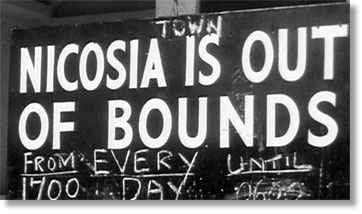 I was posted in (as a corporal) from Kenya to Abingdon in May 1965. During my disembarkation leave I travelled to Abingdon to take over a married quarter. While I was there I called into MAMS to say Hi. I met my (F team) Sgt, Dan Archer. He was a man light on the team until I arrived so he asked me if I would go on task (a "Pole Vault") with them the next day. Things were very informal in the 60s. So I did. I had not met any other team members or done any mobile training. 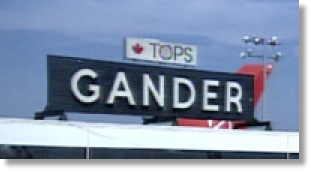 A bus picked me up at my new MQ and we were soon at Lyneham and onto a Britannia (497) bound for the Caribbean via Gander. On the same aircraft was the RAF Rugby team going on tour. They were with their manager, an Air Commodore. He was a Doctor and told me he was putting me into the Gander Hospital. I asked him to tell the team leader and he agreed. All this at about 3 am. I was kept in hospital for 4 days and then returned to the hotel to await the next RAF aircraft to UK. It turned out to be the one my team were returning on. Meanwhile I only had my night stop kit and tropical uniform. I met the aircraft at the airport and was expecting a little sympathy. No chance. Dan Archer took me aside and gave me a "Grade A" bollocking. It turned out that they thought I had gone to the airport on my own ahead of them so they expected to see me there. 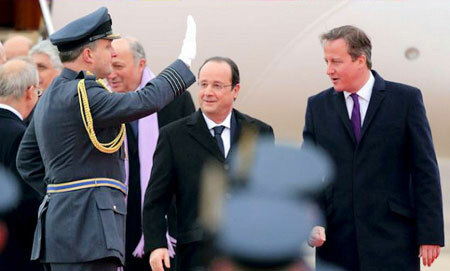 The Air Commodore had not made contact with them until they were on the aircraft. That was the first they knew. That it was my first ever mobile task with no briefing or training was not acceptable. It took a little while for me to gain any street credentials after that. Into the hotel and as I was feeling a bit rough I went to bed early. During the night I developed a raging sore throat and was very dizzy. I decided to tell the MAMS team leader. (I did not remember his name then (it was John Dunn) so I asked for the RAF team leader) A couple of minutes later the rugby Air Commodore came to my room. I told him I was after the MAMS boss and why. The very first job we did as a team on the newly formed NEAF MAMS unit in May 1965 was nothing to do with aeroplanesat all; it was on a ship, anchored outside the Cypriot three-mile limit. We had to offload thousands of individually boxed missiles. They were each about eight feet long. I drove our new tractor forklift on board, loading them onto nets to be winched up and transferred onto Army pontoon boats for ferrying to the shore. This took about 4 days to complete. It wasn't long before our first mission off the Island was to take place, which was to Tehran, in Persia, as it was then called. Severe flooding in Ontario, Canada, precipitated the evacuation of the majority of residents of the First Nations community of Kashechewan in May, with the operation reaching its successful completion on 13 May. The Royal Canadian Air Force assisted with the evacuation, deploying a trio of CC-130 Hercules aircraft, along with other commercial aircraft and members of 3 Canadian Ranger Patrol Group acting in a support capacity, to retrieve approximately 1,500 civilians. First trip on MAMS. Ballykelly with John Evans, Gerry Burns, Ted Moore and Steve Phare. One of the aeroplanes we handled was an Argosy, and it was parked with one of the main wheels in a drain grating. This raised the opposite side so that with the support strut in on this side, fully extended, it would not reach the ground. Just hanging loose like a ..... well, whatever. We had to rock the aeroplane back and forth to get the wheel on level ground enabling the strut to be fitted. After such stalwart endeavours and spit and polish, down to the Droppin' Well for a well earned glass of sustenance. Official chucking out time came. Crash bang wallop. Doors, windows etc shut, bolted, barred and secured. If one had not exited by OCOT, wun ad ter shtay til baht fer.. fer... forclok n mawnin! While over the years I had quite a lot to do with various MAMS Teams in UK, the Middle East and the Far East I was never a team member. That said, one of my memories from Masirah days - 1964/65 - concerns the Middle East teams. At Masirah, my Movs staff consisted of one WO, one Cpl and one SAC. Whenever we had to take delivery of an unusual load (eg: a marine tender or a Type 5 radar) the load came compete with a MAMS team. The tasking signals were keenly awaited, not least to find out who the team leader would be. I still recall the absolute delight when a particular leader’s name appeared on the signal. The reaction was always the same: ‘Sir, that’s great. Mr ******** can unload a Beverley just by standing and swearing at it!’ I wonder how many readers of the newsletter would care to guess the name of Mr ******** ? I remember well my first MAMS trip. I had just been posted to MAMS, from a tour in Malta, and I arrived (14 Feb 64) in front of the OC MAMS, Gordon Spiers, who said, hello Sarge, where are you from? Malta, said I, don't unpack said the boss, you are going back tomorrow. So it turned out, Beverley Flight 3322, en route to Nicosia, via Malta, to take part in evacuating families during the potential threat of a Turkish invasion of the island. The invasion did not take place this time, but it was a very busy, and tense time. Got back to Abingdon on February 24th, the day after my birthday, to a confused wife and family, who were just setting up our new married quarter. Needless to say , like a good service wife, she soon got used to us watching the 6pm news, and me saying I'd better pack!!! 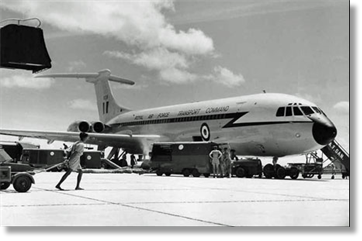 My first RNZAF MAMS assignment was to Tonga in the aftermath of Cyclone Isaac in March 1982. My earlier article in OBB #122311 detailed an HS748 Andover incident during that deployment but I also remember another couple of amusing incidents. 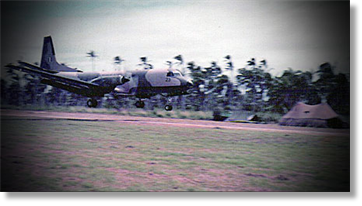 Scenario: RAAF & RNZAF personnel in tented camp on the airfield near the remains of the Civil Air Terminal. Very warm and humid tropical conditions with the odd heavy shower. A large mosquito infested quagmire close-by. Rations packs… at times supplemented with local ale! Aircraft of varying size and nationality bringing a constant stream of aid at all hours of the day and night. RNZAF Andover & RAAF UH1H’s constantly ferrying those supplies to outer islands during daylight hours. This deployment was also the first for a fellow RNZAF Supplier who had served over 12 years without a deployment outside NZ. On his arrival at our wee camp we asked him “where’s your bag?” He replied “I expected someone to collect it off the plane for me”…. wrong! The Tongan locals who helped unload the plane had obviously spotted the lone bag and one of them must have decided his family could do with a new wardrobe. After all, many of them had lost all their possessions in the cyclone! So Greg spent the next 10 days in his one set of khaki’s… not a pretty sight especially when there’s no power, running water for showers, etc. Then there was Gill. He decided to supplement his evening ration pack with more local ale than he should have. Consequently he forgot to erect his mossy net before getting into his sack that night and in the morning he was puffed up like a very large red balloon. Sore, totally covered in mossy bites, sick as a dog and totally useless to us! He was medevaced back to NZ later that day… his last deployment I think. Shortly afterward a B737 (country of registration shall remain un-named) taxied in and ‘powered up’ to execute a sharp turn before parking and blew the whole caboodle into the nearby quagmire!! Some very angry Diggers and a very thoughtless crew who incidentally ignored all hand signals from us and other ground staff in the vicinity. I hope our lads fared better this time! And spare a thought for the Aussie Diggers who came back to the airport after many harrowing days rebuilding essential buildings in the outer islands. They laid out all their tentage, tools and personal gear on the edge of the apron then water blasted and dried the lot ready for return to home base (very strict quarantine regulations prevent any soil or foreign matter on equipment being imported to Aust). 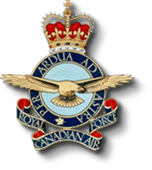 I completed my “Movements Specialty” course in Borden, Ontario, from Oct to Dec 1969 and was posted to 1AMU in Edmonton in Jan of 1970, assigned to #8 MAMS team. My first operation was loading equip and pax out of Victoria bound for Bardufoss Norway. 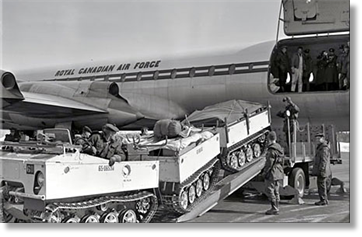 What a different occupation from my former trade of Tpt Op (driver) We loaded vehicles up to ¾ ton trucks and trailers onto Yukon (a passenger type) aircraft using huge floor shoring. Rucksacks, rifles etc were loaded manually into the bellies as we crawled around on our knees on the rollers. A lot of time was spent in the VU33 mess, and way more booze was likely consumed on that operation than we needed. It was certainly an eye opener for me. A great learning experience to supplement what I had learned on course. The majority of the freight loads were onto the Hercules. Our OIC was a former pilot Don … who had an attitude that we could do anything, even if we had to bend some rules. We did not have a Sgt on the team at that time, so a qualified Sgt posted to the TAL school in Edmonton was sent with us. I must admit that we did not treat Bob… very well as we considered him an outsider. Although I don't recall this being MAMS, I suppose it was a fore runner of the present day operation. No teaching, all passed down from our seniors. I only had 2 trips - this and one other - a day excursion to Filton to send some Air Cadets on a Jolly to Gibraltar. My move into Load Control was a ‘promotion’ I didn’t expect. On shift one evening, I took the manifests over to the ‘elite’ in Load Control for the aircraft we had just loaded, and stayed for some time enquiring about the whys and wherefors of loading an airplane. Sqn Ldr. Luck came in and wanted to know what I was doing there. Cpl. Cabledu (Capelcure) told him was interested in the in and outs of load sheets, and that was it, he said right lad you’re in here from your next shift! At first I was a bit bemused by it, but soon got into it and it wasn’t long before I knew more than the Officer i/c shift! I can’t remember when but I went on from LAC to SAC (and a bit more dosh). As well as those mentioned, names that I re-call working with were John Shaw -London. George Bowyer- Manchester. Malcolm Robertson London, Dennis Collis London, Sgt ‘abe’ Abrahams, Cpl ‘Ginger’ Sullivan, F/O Chase and Flt. Lt Acres. The biggest challenge was when the three of us went to RAF Waddington in Lincolnshire, mid 1955, Bomber Command was going on a goodwill tour of the West Indies. From memory 5 Hastings supported 10 Canberra bombers. The Hasting were all in PCF configuration, each aircraft loaded to all-up weight with spares, personnel, and fuel. The final Hasting carried a Hercules engine. When we arrived we were ushered to a huge hangar with aircraft spares and personnel luggage. As the other Hastings weren’t arriving till the next day Vince and I went into Lincoln for the evening. Most of the spares had weights on them but the luggage and ‘bods’ had to be weighed - but no suitable scales were available. Flt. Lt. Tuppin nipped into Lincoln and purchased a set of bathroom scales, and the task began. Departure time depended on the weather in Reykjavik, but I recall with relief that the last Hastings went at about mid-day. Then we had to wait for a lift back to Lyneham. Half way through our afternoon siesta a panic call from the tower said an aircraft was about to land to collect us. We scrambled on board via a builder’s ladder with the engines still running. On board were a few ATC cadets complete with half full sick bags. I recall the flight back to Lyneham was in cloudless skies. We circled the base about three times with occasional dips to port. When we landed we were accompanied by a fire tender -the dips to port were to get the port undercarriage down! Later that year I was de-mobbed. 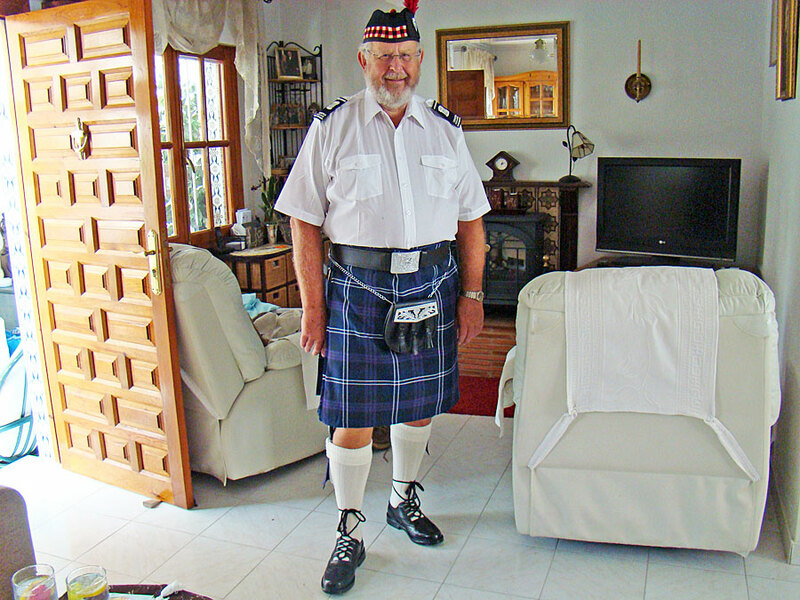 In 1957 I was once more in uniform, (basic battledress that I could just about get onto). Initially I had to ‘do’ 2 weeks reserve duty and would spend it at a London Dock (someone still not knowing the difference between Air and Surface moving). I ‘phoned the Reserve Posting office? And suggested that RAF Northolt would be more suitable as I could commute daily from my home in Twickenham. And this was agreed. When I arrived for my first duty at Northolt (yes someone was expecting me - but had not a clue what to do with me!). Anyway I completed my 2 weeks with exemplary comments. I then told them what my job was in civvie street - Traffic Officer at London Airport with Hunting Clan Air Transport. During my last year at Lyneham, I remember that along with Flt. Lt. Tuppin and LAC Vince Hickey, we teamed up a couple of times to do squadron moves, mainly reservists going on ‘jollies’. The difference was that we went to another airbase to move them. Here is my memory of my first trip on MAMS. It was in August 1971, firstly from Brize Norton to Singapore via Muharraq then Gan and on to Changi. After a night stop in Changi on to Butterworth and stayed in the E&O Hotel in Penang. We were there to help dismantle the equipment on Western Hill, or rather to prepare it for under-slung load to be transferred to Butterworth. Each day we went up Western Hill in a helicopter. After spending the last night in transit at Butterworth it was back to Changi, night stop there and then back to Brize Norton via Gan and Akrotiri. A good intro to MAMS seeing so much of the world for a first trip. I soon came down to earth with a bump later with routine jobs in the UK and of course Missexes. But obviously will never forget that first trip. My first MAMS trip was quite boring, it was really a training trip with WO (Uncle) Reg Carey plus Flt Lt Alan Ovens and John McClyment. 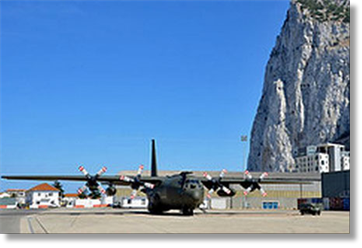 We flew from Lyneham to Kinloss to pick up a load of sonabuoys for Gibraltar, dropped them off at Gib and reloaded the Herc with indulgence cars and flew back to Lyneham. Bread and butter stuff really but it beat sitting around waiting to get operational or hopping on to a MISSEX trip. My first task was Belfast XR365, Flight 6993 from Brize Norton to Gardermoen (Olso) for Exercise White Tent. It was December 1971 so it would have been really cold. We loaded two Wessex helicopters back to back on the aircraft. A lot of swearing and cursing, bumping heads and arms on collective material onboard whilst trying to lash down everything. It was the usual get-up-at-dawn RAF Abingdon, pick up the team and off to Brize Norton. I was always given the task of making the toast when we got to the Gateway Hotel in Brize! So here I was ‘booted and suited’ on the 14th May driving from Ringwood up to Royal Wootten Bassett to pick up Sam Heaphy and then for us both to journey to High Bickington in North Devon for Brian Kingdom’s funeral. The weather was excellent which was very fitting for Brian’s celebration. 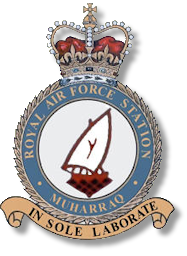 It was 35 years since I left the RAF and UKMAMS Eng, where I served for the last five years of my RAF career. It had been a fantastic time for me on the squadron that led to many life-changing experiences. As I drove up to Wootten Bassett, my thoughts, in light of the days coming events, led me to reflect on the past and all the brilliant characters that I had the honour to work with on the squadron. Brian was certainly one of those people. For reasons unknown it came about that I spent a good deal of time with him and also Sam Heaphy, who was the team SNCO on various missions, notably in Belize and Western Europe. We got to know each other very well and I had a very high regard for Brian, the quiet Devon boy with a wicked sense of humour. Maybe it was something to do with me being born in the same area (being from the county of Avon just down the road so as to speak). Whatever, the main part is that I spent a good deal of time with Brian in Belize where the work was pretty arduous, especially during the emergency, Operation ‘Splat a Guat’ as I recall. The working conditions as mentioned before could be quite tough but with Brian his easy-going demeanour never faltered. I picked up Sam and then we were off for the two-hour run to North Devon. We were recalling memories all along the way and also catching up on the current news of various association members, in all a delightful journey with vigorous conversation. Sam informed me that Al Kilpatrick would be there but he was not sure who else might be. We duly arrived at The Church of St Mary in the very beautiful village of High Bickington where Brian and both his immediate and extended family lived. Sure enough Kilpatrick was there along with Chris Thistle whom I had also not seen for 35 years. Time to meet the family. They were all there, naturally. We made ourselves known to them and they appeared to be very appreciative of our presence which made it all even more worthwhile. There was a mixture of tears and laughter from Brian’s nephew and niece, Joe and Pip, Brian’s mother and many others. The mood was naturally of great sadness but at the same time we managed to break it up with memories recalled for the family which made the day a bit more bearable. One amusing moment was when Chris (Thistle) made his re-acquaintance with Pip after so many years, her remark was, “You gave me Nipper!” I was shocked as I heard it as, “You gave me a Nipper!” Okay, a quick step back here before I put my foot in it. It was then that I understood that Chris had given Pip a toy dog or something similar by the name of Nipper when she was very young and they were all at RAF Lyneham. I understood this very well as my own daughter, Jordan, was also given a small toy dog by the name of ‘Gund’ at about the same age and she has never forgotten that one either. Memories, amazing aren’t they? It was time to go inside the church; a typical Brian service, simple, traditional, no fuss and done the ‘Devon way’. I loved it, as did all the others and Brian was certainly given an elegant and fitting send-off. 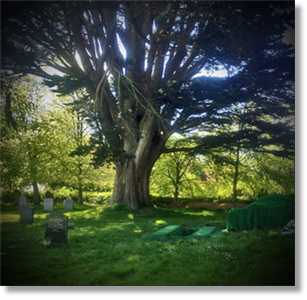 He was laid to rest in the cemetery next to the church under a magnificent huge yew tree that I would guess as being at least four hundred years old. It was then off to the pub, Brian’s local. The Old George Inn had a really good old-world warm atmosphere and we could see why he would have used it. The beer was fine as was the continued socializing with his family and friends. A good overview of the whole village of High Bickington and its friendly population made us all realise that Brian was very happy to return there after his RAF service. In all it was a lovely, sad and emotional day with Brian now at peace. These were just some of my thoughts along the way. My other main thought was that I knew that he had been ill for the last two years but surmised that he was now okay. I have a huge regret of not getting in touch with him recently; I will have to live with that one. A Rivet Joint surveillance aircraft has been flown in UK airspace by an RAF aircrew for the first time. Pictures released by MOD 27 May show a UK Rivet Joint RC-135W signals intelligence aircraft taking off from RAF Waddington in Lincolnshire. 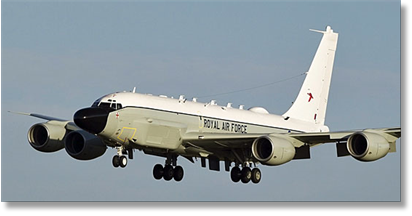 The aircraft is one of 3 that MOD is buying from the US which, as part of the Airseeker programme, will provide the UK with a world class real-time signals intelligence and surveillance capability for forces in the air and on the ground. Since 2011, members of the RAF’s 51 Squadron have been operating United States Air Force Rivet Joint aircraft and ground stations to familiarise themselves with the aircraft and its capability. Defence Secretary Philip Hammond said: "These highly specialised aircraft and their supporting ground systems, bought off-the-shelf, provide Britain with a first-class intelligence-gathering capability that is value for money and another key part of our ability to interoperate with the US. Having jointly operated US aircraft with British and American personnel for 3 years, this proven strategic intelligence and surveillance capability will be an excellent addition to the RAF’s fleet." The 3 aircraft, converted by L-3IS in Greenville, Texas, from a Boeing KC-135 tanker, have been bought directly from the US government at a cost of around £650 million. The Airseeker capability, comprising all 3 UK Rivet Joint RC-135W aircraft and ground exploitation systems, operated by their highly skilled aircrews, ground crews and analysts, is due to be fully operational by mid-2017. Airseeker joins the RAF’s ISTAR Force, which includes Sentry, Shadow, Sentinel and Reaper as well as the reconnaissance capabilities of our fighter aircraft. The aircraft not only gathers data and vital intelligence using advanced sensor technology, but it is also able to carry out onboard analysis and distribute the information to be exploited by assets on the ground via its high-tech communications suite. My first MAMS trip was an absolute nightmare, hell, it was my first movements posting, and I was totally lacking in movements experience. At this point I should perhaps warn your readers that I have the poor memory befitting an 81 year old, that is because I have just celebrated my 81st birthday. Here we go anyway. Aug/Sep 69 Gulf MAMS Task Muharraq/Villafranca/Muharraq. On this task Team Bravo were the only pax. Presumably team leader Barry Belton (now deceased) was on UK leave as the team were led on this by F/Sgt (?) ably assisted by the lads, and Dave Barton, whom I was to replace. The load was a Britannia Freight Lift Platform (BFLP). On arrival we off-loaded the BFLP without any assistance other than the a/c winch, and assembled it. Next morning I think we loaded a landrover, disassembled the BFLP, loaded it, again only using the a/c winch, and returned to Muharraq. Personally this task was such a horror because of my inexperience, also there were technical problems with the off/onload. In time I became used to long flights, but this being the first both legs were very boring. p.s. 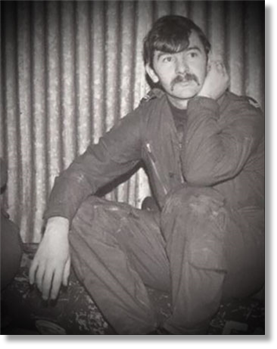 In May 79 I was Posted to RAF Gatow, once again to relieve Dave Barton, who seems to have dropped below the radar. Has he perhaps joined the Movements Angel Detachment? Thanks John - I feel your pain on that first MAMS job you had - those BFLP’s were not great to work with! As for Dave Barton - what a character! He and I travelled all over the world together when he was the sergeant on my team. Later, when I was living in Hong Kong, he came out on a trip from Masirah to buy 100 pairs of flip-flops for the boys back on the island - and stayed with me for the few days that he was there. The actual purchase was made all the more interesting as he had consumed the contents of a 26 ounce bottle of Teachers prior to going down to the marketplace! Dave departed for the big crew room in the sky quite a few years ago. Regrettably Shirley, his wife, as I understood it, gave all of his slides to a local charity shop. I would have loved to have received them - all those brilliant memories lost to the sands of time. To pass the time I drank an excess of the ALM's coffee, which didn’t do my stomach a lot of good. Finally, the on/off load took place in the middle of an African summer. It was far too hot to work in a flying suit, thus I suffered badly from sunburn. My first mission with UKMAMS: Echo Team was comprised of myself, then a Pilot Officer, Sgt Mitchell, Cpl Stockford, SAC Gibson and SAC Yeoman. It took place between 3 and 8 January 1964. It was code named Exercise Hogmonay - how original! Our route outbound was Abingdon - Nice - Luqa - Nicosia. We departed 12.45hrs on 3 Jan. and arrived in Cyprus 05.45hrs on 4 Jan.
Our route inbound was Nicosia - Luqa (nightstop) - Orange - Abingdon. We departed at 11.00hrs on 7 Jan. and arrived back into Abingdon at 06.00hrs on 8 Jan.
2. Sgt Mitchell introduced me to the concept/idea that when all else fails tow the aircraft away from a particularly heavy and cumbersome load. I cannot remember exactly what the load was but it was a huge piece of heavy engineering plant, which was easily loaded with the help of the aircraft winch. Most definitely nigh impossible to offload because there was no truck available that was either the right height or equipped with a strong enough winch. We could get one or the other but not one in the same vehicle. The old ‘Tirfor’ winch was not going to be of any help this time around. 3. The offload: We attached the aircraft winch to the load for safety. 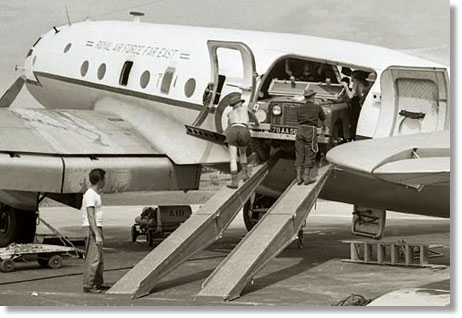 We lined up the flatbed truck, with rollers laid out, to the sill of the aircraft and chocked the truck - as one should! Then, in the dead of night on 3 January 1964 we arranged with the ramp staff to attach a ‘tug master’ to the Beverley nose wheel and inch the aircraft forward while we pushed the load onto the flatbed truck. As I recall it took nigh on 3 hours to complete the offloading. It was a magical moment when this monster piece of heavy engineering equipment nestled with the mildest of bumps onto the flatbed! I have no idea why we were routed through France both outbound and inbound, but upon reflection I believe the crew knew exactly what they were doing. I did enjoy a rather pleasant and wholesome glass of red wine with the captain the weekend after we got back. 1. The entire flight there and back was by Beverley (tail XB285 outbound and tail XB269 inbound). It was 16 hours in the boom both ways! I learned why she (the Beverley) was otherwise known as 40,000 rivets flying in formation. Armed forces ration packs are being given a kick with the introduction of a new hot sauce, created by a former submariner. 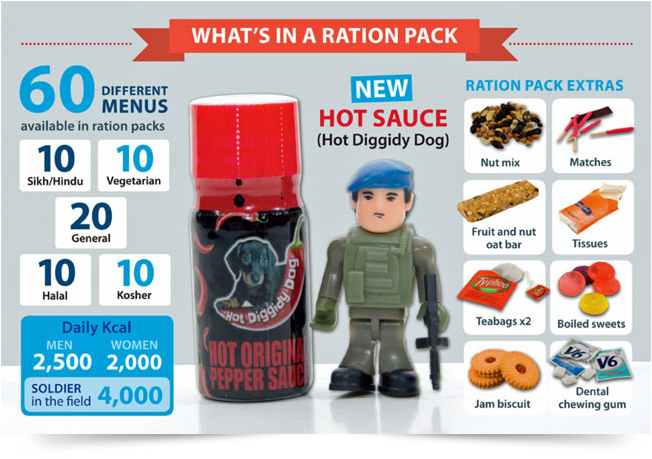 MOD has awarded a contract for £28,000 to the makers of Hot Diggidy Dog pepper sauce to supply 75,000 bottles for the military’s 24-hour ration packs. The contract is the biggest ever for the small company that produces the sauce at its premises in Barry, South Wales, and the business has doubled in size as a result. Founder and managing director of Hot Diggidy Dog, Simon Llewellyn, was a former submariner in the Royal Navy. He explains: I lived and loved the armed forces for 11 years and so recognise the importance that food plays in morale. What began as experimentation using bags of dried chillies on board British nuclear submarines has now grown into a rapidly expanding business that, thanks to the MOD contract, is fast becoming a household name. The 1.6 million 24-hour ration packs issued by MOD every year are designed to give deployed military personnel the 4,000 calories they need daily to ensure they are at peak physical and mental fitness during long patrols or operations. They include traditional favourites such as boiled sweets, baked beans and hot chocolate alongside newer items such as chicken tikka masala, chilli con carne and Oreo cookies. The 5-millilitre vial of Hot Diggidy Dog sauce is the first addition to the ration packs since 2010. In 1988 I was posted back from Ascension Island to UKMAMS. After a short stint on day pax I was tasked to join my team who were deployed to Florida doing the missile exchange to Andros Island. 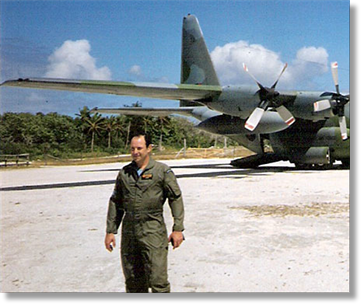 I flew UK - Dulles where I was met by the RAFLO and transferred to the engine running in-theatre Hercules which had flown Patrick AFB - Dulles to collect me and awaiting AOG’s. 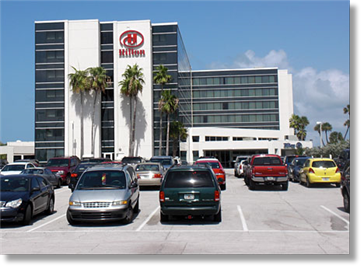 On arrival at Patrick AFB was met by team members and taken to Cocoa Beach Hilton Hotel in our convertible hire car where I spent the next 2 weeks. We also saw the now returned Shuttle being piggy-backed on a 747 whilst we were dining; eating Steak and Lobster at some Cocoa Beach restaurant. During the same trip the Hercules went u/s and Steve Moore and I were despatched to Miami to connect with a chartered DC8/10 which replaced the Hercules for one of the missile exchanges… What a journey! Being my first tour on UKMAMS I was totally blown away by the experiences I had during this trip and considered myself truly fortunate to have the opportunity of doing UKMAMS when I did! My one big regret in life that I never recorded my trips on UKMAMS and wished that I had purchased a camera in my early years so I could reflect on the glamorous life I used to have! During the trip I experienced the take off of the Shuttle, which took off from Cape Canaveral just as we landed at Patrick AFB. The aircraft Captain was told by Air Traffic Control to land ASAP and we sat engines running on the runway watching the launch and could feel the vibration of the take off. 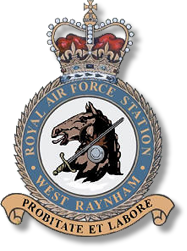 I was promoted to Flight Sergeant and posted to UKMAMS RAF Abingdon from RAF Brize Norton on 1st January 1966, having been posted from RAF Changi Singapore to Brize in time to go to Wembley to see the World Cup Final which England won 4-2 vs Germany. Most of the UKMAMS teams were away in January on tasks including the Oil Lift which took most of the squadron's manpower. My first tasks on arrival and getting clothing etc, were meeting the OC (Sqn Ldr Bill Jacobs) and moving into a quarter at Abingdon. My team was Golf with Nigel Saunders as the officer. 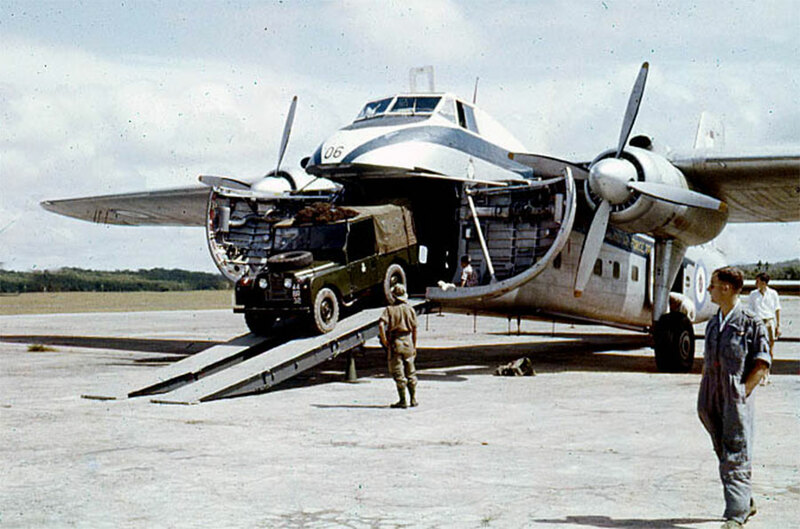 My first task was a three day Jigsaw at RAF Benson and Abingdon, showing the army how to load their landrovers and trailers onto Beverley, Argosy and Hastings aircraft. Using the Hastings ramp was the hardest job of all. The task went well, cut short on day three by a heavy snowstorm. Being an easy task gave me confidence for my future on UKMAMS. My first real MAMS Trip was to Norway for the whole month of April, 1984. The team consisted of a Sergeant, Ron Candow, two Corporals, Paul Brochu and myself and a senior Private, Ron Guest. Our job was to help with troops deploying, vehicles and VIPS for a NATO exercise. We worked out of Sola Fly Station, which is located near Stavanger, Norway. 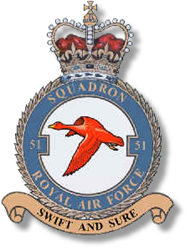 The aircraft were sent to Bardufoss. We worked out of one of the Royal Norwegian Air Force hangers which was home to their Sea King helicopters. 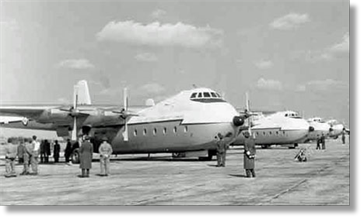 We worked on every type of aircraft; Hercules, Boeing 707, Dash-8 and even a German Transall. This was a great exposure to different aircraft and gaining experience at the same time. We had a Volvo type jeep which we nicknamed the Mamsmobile. This trip was excellent and we had a great time. It surely was a memorable experience for a Canadian MAMS team. I was stationed on POL at RAF Wattisham and in September 1966 went to Zambia on the oil lift and was there until the pull out on 5th November 1966. In February 1967 I was posted to UKMAMS. 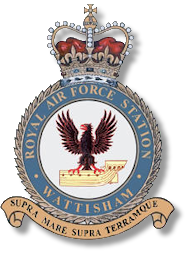 I was sent to the office of Sqn Ldr Jacobs who welcomed me to the squadron and asked me how I felt about leaving Wattisham. I replied that I was disappointed to leave because I was enjoying my time there. He told me he would arrange my first UKMAMS trip, which he did. 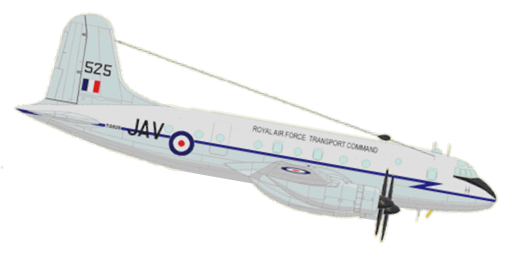 My first trip was on February 8th 1967 on Beverley 285 - Pilot was Flt Lt Clinch - Operation was: Jigsaw 7 from Abingdon to Wattisham and return. Who said Sqd Ldr Jacobs did not have a sense of humour? My first ever trip on UKMAMS was the recovery of squadron freight and ground crew from Izmir to Laarbruch. 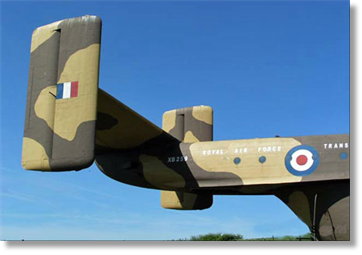 We set off by road from Abingdon to Benson and on arrival were told that we would be flying in an Argosy, affectionately known as the “"Whistling Wheelbarrow”. As the “new boy” on the Team I was given advice on what was expected of their new Team Leader, the most important being that I should carry my own baggage at all times. Our first night stop was in Luqa (Malta) and the next morning take-off was delayed awaiting the arrival of the “Loadie”. 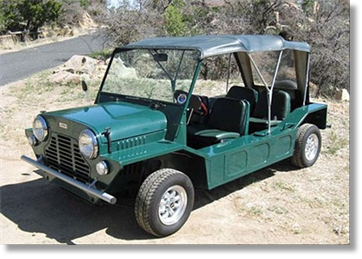 He had been downtown the previous evening and on his return in a Mini-Moke taxi, accidently fell out whilst it was taking a corner on the way to the airfield. This resulted in him breaking his wrist. After a chat with the skipper it was agreed that the team could carry out the duties of the injured Loadie, including engine start-up and in-flight checks of passengers and freight. In return we were allowed to wash the contents of our “Lumpie Box” down with some local wine during the flight. We arrived in the restaurant where lunch was served with 6 bottles of wine. 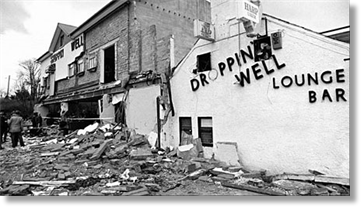 As the crew could not partake the it was decided that it should not go to waste and the team proceeded to demolish all 6 bottles. We eventually arrived at Laarbruch and remembering the advice given, I took my bag off and placed it with the rest of the team baggage. After a quick turn around we set off for Benson with only the MAMS team on board. Halfway across the English Channel, on checking the pile of baggage under a cargo net in the centre of the aircraft, I could only account for 5 bags! Needless to say on arrival, my bag was missing and there were big grins on the faces of all team members. I had broken the cardinal rule and had not carried my own bag onto the aircraft! I am glad to say that for the rest of my time on UKMAMS I always made sure that my bags were never out of my sight. The leg to Izmir went off without a hitch and the aircraft was duly loaded. We had a second night-stop and on day 3 set off for Laarbruch. On the way back the skipper advised that we would be making a transit stop at Nice Airport where the crew and MAMS team would have lunch, whilst the passengers would have a snack in the Transit Lounge. My first trip was pure delight. I arrived at RAF Abingdon posted to UKMAMS on the Thursday just in time for the Easter break. At the guardroom was Flt Sgt Gus Walker also of UKMAMS. He told me to clear for Easter and not come back till Monday, as they were grabbing movers to go to Zambia on the oil lift (whatever that was). After all, I was green and straight out of the Movements School! 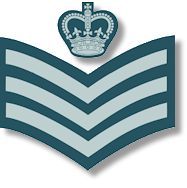 The following Tuesday I presented myself to Sqn Leader Bill Jacobs, who had a good moan, saying he could have done with me at the weekend and that it was unusual to have novices sent to the squadron. But as he was so short of men he'd give me a try. Two days later I was being fitted for a smart gaberdine summer best unifom at the clothing stores. The only one that fit me had Flt Sgt stripes already on it. Rather than bother the station tailor, it was left at that and the Equipment Officer put it on orders that I was promoted to that rank, unpaid, for one week. A day later I was with Flt Lt Nigel Healey (a name many oldies will remember) at RAF Colerne loading pallets onto a Britannia freighter. First stop Gander and on to Trenton and then home. Yes! I thought I can handle this life. My promotion ended and it took another four years for me to make corporal. As we used to say, "If you cant take a joke you shoudn't have enlisted!" 1996 Dhahran: Gary Norman was part of a three-man MAMS team in support of Operation Jural. 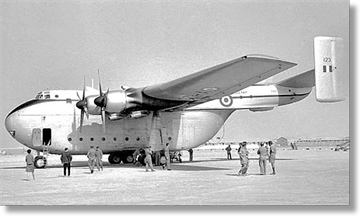 The twice-weekly Hercules schedule was handled on the military pans, but when the Atlas Transfer Loader went u/s a civilian FMC Transfer Loader was utilised instead. This vehicle has very high corner masts and can just scrape under the tail of the Hercules if the aircraft elevators are in the nose-up position. To guarantee this the trick is to attach a p-strop around the control column and pilot’s chair, thus ensuring nose-up attitude. This task is normally carried out by the ground engineer. He was discovered halfway along the roof of the aircraft linking p-strops together with the intention of connecting the control column to the elevators! For this use of outstanding initiative, Gary was awarded the Norman Award and made OC Training on UKMAMS. On this specific occasion the FMC had to be used and Gary Norman was asked to ensure that the elevators were in the “up” position and promptly vanished onto the flight deck. After more than 20 minutes had elapsed and the elevators had not moved, nor had Gary reappeared, the men went in search of him.